Itr or Ithar (Perfume or other scented water) – For fulfillment of materialistic desires like new house, television, mobile, car, bike etc. This is also offered for getting strength to keep the mind in control with good thoughts. Sugarcane Juice – It is poured on Shivling for solving wealth related problems and for good luck in lottery. Honey – Abhishek with honey is performed for the good health and long life of spouse. This is also performed for curing speech related issues. Cow Ghee – This offered for begetting healthy and intelligent children. Mustard Oil – To achieve victory over enemies. Mild mixed with water from a holy source (river or pond) – This helps in sin redemption. 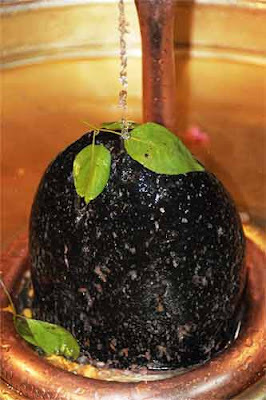 It is also offered to Shivling to find solution to tension and stress. All the above said items are offered by devotees during Shivratri and other auspicious days dedicated to Shiva. Once gain - The best offering would be a drop of water and bilva leaf and the firm decision that – I would follow dharma. There is no better offering to Shiva than steadfast devotion and the firm decision not to harm another living being physically and mentally.